The New York Times recently published a piece called “36 Hours in Raleigh, N.C.,” and it got me thinking: our neighbor city up the road has lots to do, but so does Pittsboro. With places like the Carolina Tiger Rescue, SilkHope Winery, and Fearrington Village, I bet you can have enough fun in Chatham County to last far longer than 36 hours. 1. Peruse Pretty Pottery: 3 p.m.
Cooper Mays Pottery, 4848 Highway 15/501, Pittsboro, NC, 27312, is owned by mother-and-son team Martha and Nathan. Cooper Mays has been making hand-thrown pottery, dinnerware, and one-of-a-kind art pottery for more than 25 years. A studio and gallery are located on the banks of the Haw River, along with seven cabins and kiln houses. If you’re feeling inspired, be sure to get a hand-crafted souvenir from the shop. 2. Try Wine Made From Honey: 5 p.m.
Mead, or wine made from honey, is the specialty of Starrlight Mead, 480 Hillsboro Street, Suite 1000, Pittsboro, NC 27312. Taste eight of the company’s available meads for just $6, and you get to keep your wine glass! Bring the kids along as well — Starrlight also offers honey tastings. 3. 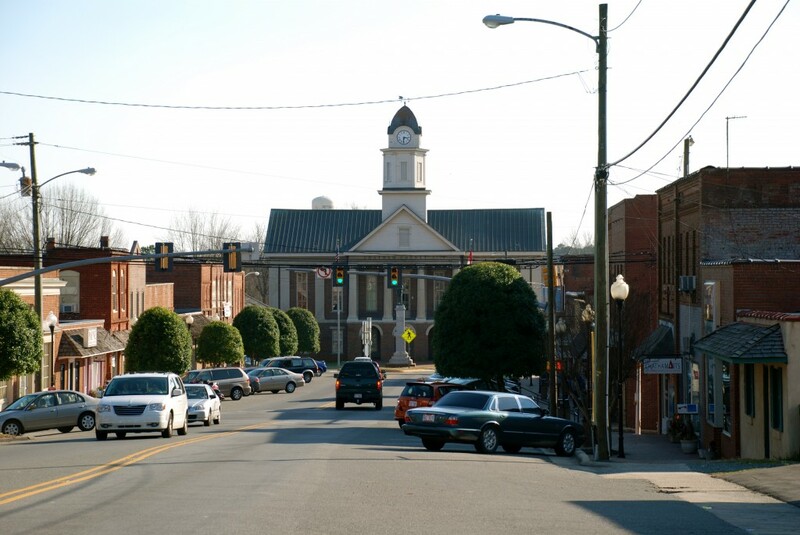 Eat Local: 6:30 p.m.
Pittsboro, NC 27312, are the perfect ending to your day in Pittsboro. Not only is the restaurant the only AAA Five Diamond restaurant in the U.S. to be Green Certified, it’s also ranked a top-10 restaurant in America, based on more than two million reviews by OpenTable diners. Enjoy other amenities, including a spa and inn stay for the night. 4. Meet Some Big Cats: 10 a.m. The Carolina Tiger Rescue, 1940 Hanks Chapel Rd, Pittsboro, NC 27312, houses rescued cats, ranging from ocelots to lions. Take a guided half-mile walk outdoors on grass and gravel to meet some of the world’s most endangered species. Your guide will personally introduce you to tigers, lions, caracals, servals, ocelots, binturongs, and kinkajous, explaining the rescue stories that brought them to Carolina Tiger Rescue and the issues that their kind face in the wild. Hoagies and grilled sandwiches abound at The City Tap, 89 Hillsboro St., Pittsboro, NC 27312. Try a Turk-a-moley (turkey and guacamole combo) for $7.75 or a Ploughman’s Lunch (Your choice of any draft beer, a chunk of turkey or ham, a hearty slice of cheddar cheese, pickled onions, apple slices, a toasty roll and butter) for $8.00. If you’re extra hungry, I suggest one of the many nacho combinations. 6. Browse The Bookshelves, 2 p.m.
Also located in Fearrington Village is McIntyre’s Books, 2000 Fearrington Village Center, Pittsboro, NC 27312. Enjoy a wide selection of fiction and nonfiction, with particular emphasis on cooking, gardening, mystery and books by local authors. It’s easy to get lost amidst the shelves. 7. Ogle The Art, 4 p.m. The Joyful Jewel, 44-A Hillsboro St., Pittsboro, NC, brings the spirit of creativity to artists and patrons alike. The gallery offers “local art, fresh from the heart” in a wide variety of media, styles, and prices, each creation made with care, skill and inspiration. You can also leave knowing you helped the community: The gallery contributes a portion of its income to charities and community improvement. 8. Dine Fine, 6 p.m.
Head back to Fearrington Village for supper at the Fearrington Granary, 2000 Fearrington Village Center, Pittsboro, NC 27312. The cooking team grinds the beef on-site so that you can enjoy delicious, chemical-free, juicy burgers. Don’t miss the seasonal Fearrington beers made in partnership with Durham’s Fullsteam Brewery. 9. Relax Into the Afternoon, 12 p.m. The SilkHope Winery, 2601 SilkHope Gum Springs Road, Pittsboro, NC 27312, is a small, family owned winery offering award-winning wines since 2000. Tour the vineyard, sample the wines, and explore what it’s like to work a real farm. 10. Play Golf!, 3 p.m. The Tradition Golf Club at Chapel Ridge, 1010 Chapel Ridge Dr., Pittsboro, NC 27312, will be your last stop for the weekend. Non-members can play for $27.00 a member on 790 acres of rolling countryside. Designed by JMP Golf Design and Fred Couples, the practice range, short game area, and fully-stocked golf shop is all yours to enjoy!